Eminent Academicians, Bureaucrats, Senior Police Officers, Players, Youth & Children were present. Fame® & Roys Taekwondo Academy to come to India with a view to promoting & popularizing Taekwondo in India. 5) Mr. Abdur Razzak Molla, Honble Minister in Charge, L & LR, Govt. of W. B. 6) Mr. Pradip Bhattacharya, President, INTUC, West Bengal. 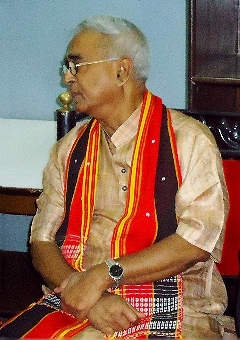 7) Dr. Srikumar Mukherjee, Honble Minister of State in Charge, Govt. of W. B. 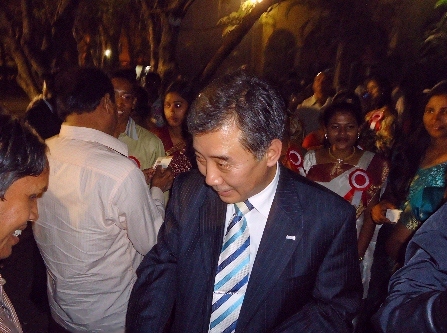 8) Mr. Manas Kumar Roy, President of Roys Taekwondo Academy. 9) Mr. Tridib Bhattacharya, Senior Correspondent, Akash Bangla. 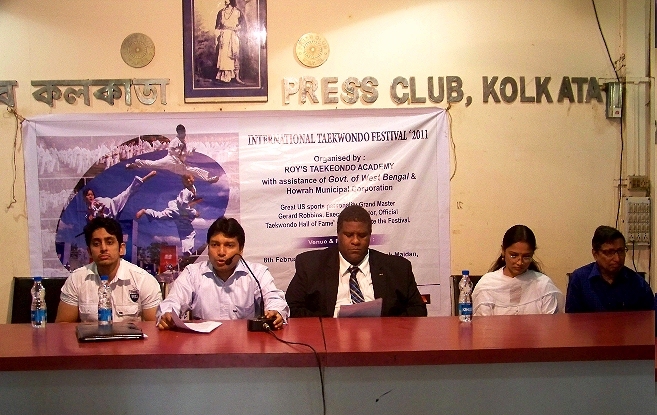 future in promoting & Popularizing Taekwondo in India. Charge, Land & Land Reform, Govt. of W.B. Body in introducing & developing Taekwondo. Grand Master Gerard Robbins & Grand Master Youn Kook Park also discussed with r. Srikumar Mukherjee. and assured Kukkiwons all kinds of support & assistance in developing Taekwondo in India. enough job opportunities in the World. Executive Director, Official Taekwondo Hall of Fame®. hey would give render them all assistance in setting up a Taekwondo College under Roys Taekwondo Academy. opportunities on completion of training. Chowdhury. After Press Conference he left for USA on 12th February 2011 itself.